UNION TOWNSHIP — Frederick-Garland Road will be closed starting on Wednesday, Nov. 28, at approximately 8 a.m. for expansion joint repair, and will reopen on Thursday, Nov. 29. The location of the work is between State Route 48 and Karns Road (at the river bridge one-half miles west of Karns Road). 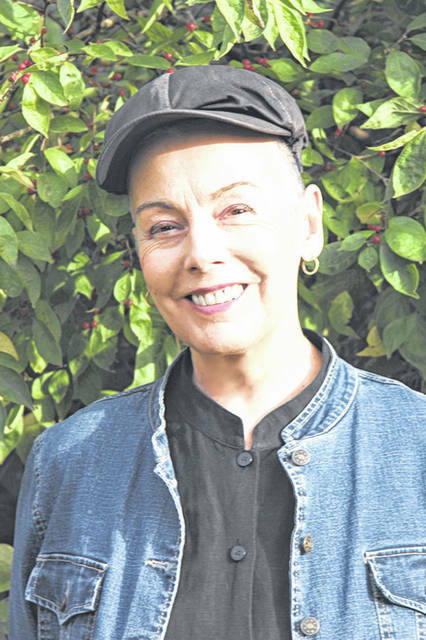 PIQUA — Ohio Poet of the Year Myrna Stone will appear at Edison State Community College on Wednesday, Nov. 28, at 6 p.m. in Room 305 to discuss the ways in which she brings historical figures back from the dead to star in her poetry “In Luz Bones.” The public is invited. The author of five books of poetry, Stone teaches writers and would-be writers her successful strategies, which can be used in all genres of creative writing. Direct questions to Dr. Vivian Blevins at vblevins@edisonohio.edu. TROY — The Piqua-Lewis Boyer Daughters of the American Revolution will meet on Saturday, Dec. 8 at 10:30 a.m. at the Troy Hayner Cultural Center, 301 W. Main St.
Christmas songs will be sung and a cookie exchange will be enjoyed. All are welcome; please bring three dozen cookies to share. The chapter will also collect unwrapped items for the Dayton VA Hospital. Kiwanis meetings are open to the public. Meetings will be a noon luncheon and meeting on Wednesdays at the Piqua Country Club, 9812 Country Club Road, in Piqua. Reservations are required by noon on the Monday prior to each meeting. For more information, call Brian Phillips at 778-1586 or visit www.piquakiwanis.org. TROY — The Miami County YMCA Robinson Branch is offering a Saturday Night Live Event on Saturday, Dec. 8 for youth in kindergarten through sixth grade. This will be a fun filled night with swimming, gym games, and a bounce house. Pizza and lemonade will be served during a movie. Drop off begins at 7 p.m. and pick up is at 11:30 p.m. Saturday. Register at the Robinson Branch or over the phone at 440-9622. The cost is $10 for members and $16 for non-members.